Bridging the gap between strategic cyber operations and tactical electronic warfare. All field squadrons within 14 Signal Regiment consist of a Close Support Troop and general support. 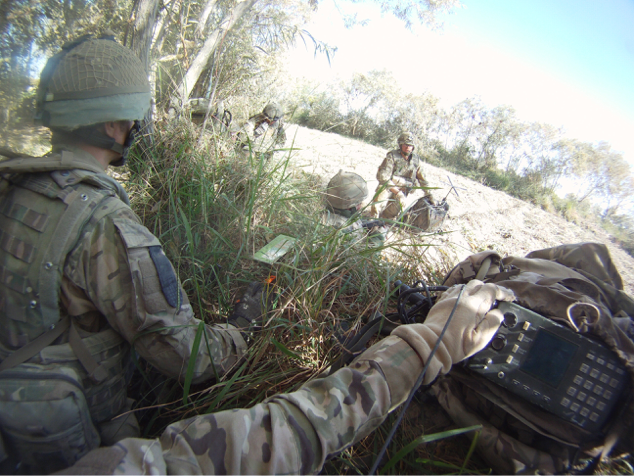 Soldiers use specialised kit that enhances the listening and interception ranges. 14th Signal Regiment was originally formed on 9 September 1959 in London. They were tasked with providing world-wide communications on behalf of the War Office, later Ministry of Defence (UK), superseding the United Kingdom Commonwealth Communications Army Network Signal Regiment (COMCAN). During the 1960s the Regiment was involved in various activities based around the skills of the units placed under its command; including trials for the development of the Skynet military communications satellites. In 1962, the RHQ moved to Gloucester, relocating to Norton Barracks, Worcester in December 1968. Following the formation of the Defence Communications Network at RAF Stanbridge in 1969 the Regiment’s main role was changed to Force Rear Link. As part of 1st Signal Group the Regiment provided detachments to numerous locations world-wide in support of deployed units. Locations included Northern Ireland, Anguilla and Honduras (1969), Jordan (1970), the United Arab Emirates (1971), British Honduras / Belize (1972) and twenty other countries during the following four years. This busy chapter finally came to an end on 6 November 1976 when 14 Signal Regiment amalgamated with 30th Signal Regiment in Blandford Forum, Dorset. On 1 July 1977 14 Signal Regiment (Electronic Warfare) reemerged at Tofrek Barracks, Hildesheim with a headquarters and three squadrons providing Electronic Warfare support to the Commander of 1st British Corps. 1 Squadron was based in Langeleben, 2 Squadron in Wesendorf and 3 Squadron was co-located with the RHQ in Hildesheim. In April 1978, the Regimental headquarters was re-sited to Ironside Barracks, in Scheuen, north of Celle to be closer to the sub-units under its command. The barracks were a temporary measure. In 1985 it moved again, to Taunton Barracks, Celle; a 19th-century neo-Gothic complex which is now Celle Town Hall. In 1992 as a result of the formation of the Allied Rapid Reaction Corps (ARRC), the Regiment’s Mission was changed to one of providing electronic warfare (EW) support to NATO and the British elements under its command. These changes resulted in the organisation moving its Headquarters and two of its three field squadrons (226 and 245 Signal Squadrons) to Osnabruck, in April 1993. The third field squadron, 237 Signal Squadron (Electronic Warfare), moved to Hullavington, England at the same time. In December 1995 the German-based elements moved to Cawdor Barracks near Haverfordwest, Pembrokeshire. 237 Signal Squadron joined them six months later following an Operational deployment to Bosnia. 14 Signal Regiment (Electronic Warfare) retains the Freedom of Entry into Gloucester, Freedom of Celle, Freedom of St David’s and Freedom of Haverfordwest. The Regimental emblem consists of a blue shield with a white horse and a bolt of lightning which was introduced on 28 May 1982. Despite the challenges of the modern operational environment, 14th Signal Regiment (Electronic Warfare) remains ready to provide modern, highly capable Electronic Warfare resources packaged to meet the demands of either NATO or National Forces deployed world-wide. All of the field Squadrons consist of a Close Support Troop, specialising in man portable EW assets, and a General Support, specialising in more strategic EW assets. 226 Signal Squadron is the exception to this, consisting of two Close Support Troops and a General Support Troop operating palletised strategic EW assets. 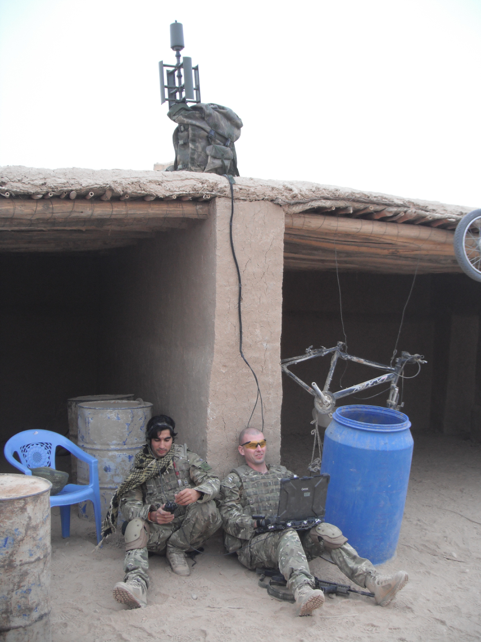 223 Signal Squadron – Providing mobile EW capability to 12th Mechanised Infantry Brigade. 226 Signal Squadron – Supporting the Air Assault Task Force (AATF) 16 Air Assault Brigade. 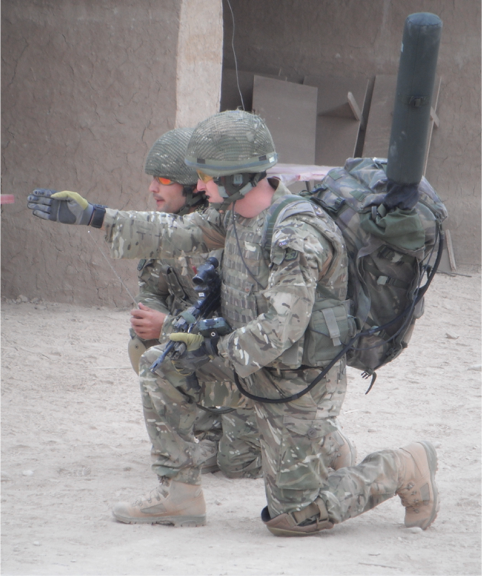 237 Signal Squadron – Providing light role EW capability to 1st Infantry Brigade. Bridging the gap between strategic cyber operations and tactical Electronic Warfare operations. Following the drawdown from Op HERRICK, the Regiment re-orientated towards contingency operations. Whilst maintaining the current operational commitments and capability, 14 Signal Regiment (Electronic Warfare) is evolving its tactical Electronic Warfare equipment, introducing the Medium Electronic Warfare Team (MEWT) into service. This capability enhances the range at which signals can be intercepted and listened to. 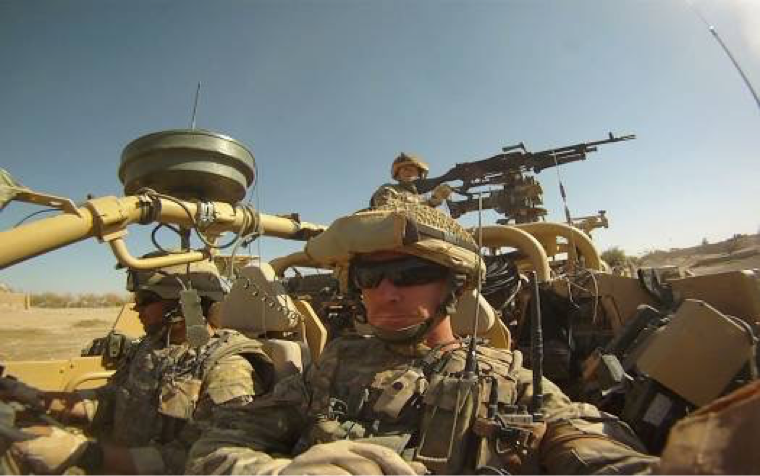 The equipment can also be vehicle mounted, allowing elements of the regiment to be situated as far forward as the brigade reconnaissance screen, thus maximising the tactical effect. The Regiment is developing a tactical cyber capability. This capability will bridge the gap between strategic cyber operations, carried out by other government agencies, and tactical Electronic Warfare operations, providing a new vector for intelligence gathering and enhancing tactical awareness of the battlefield.